5 Scientifically Proven Anti-Ageing Ingredients; Are You Using Them? 5 Scientifically Proven Anti-Ageing Ingredients; Are You Using Them? Anti-ageing ingredients proven to work should be the cornerstone of your anti-ageing skincare routine. And we’re not just talking, Jennifer Aniston looks great and she’s used this anti-ageing cream her whole life, oh no dear friend, instead we’re talking – scientifically proven anti-ageing ingredients. Anti-ageing ingredients that can commit to your skin. Anti-ageing ingredients which have more published skin studies than you’ve owned hair toggles. Anti-ageing ingredients which have a firm place in dermatology history books. Dear friend have you been asking yourself what ingredients should I be looking for in an anti-ageing cream? What is the best ingredient for ageing skin? How can I stop my face from ageing? 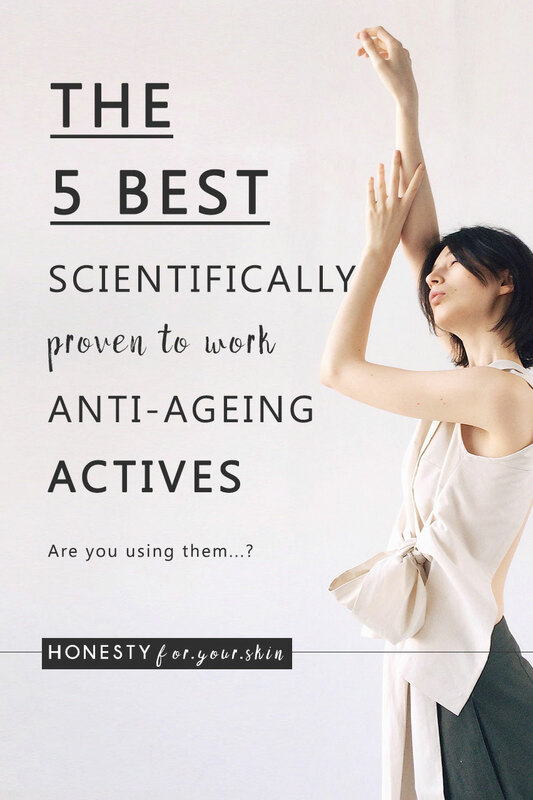 Then look no further because these 5 scientifically proven to work anti-ageing ingredients have the skills you need to help stop, reverse and protect against skin ageing. Scientifically proven to work anti-ageing skincare ingredients do not come in a more effective pot than sunscreen. Sunscreen my fellow skin savvy is the cheapest anti-ageing cream you could ever invest in. Imagine trying to iron a shirt that’s been lost in the bottom of your wardrobe for 5 months. It takes time ‘eh and sometimes you end up ironing in more creases. Your path to wrinkle free shirt-dom is not without bumps. Sunscreen should be a staple ingredient in your skincare routine because UV light is responsible for well over 80% of skin ageing under your control. The best anti-ageing creams, stop your skin from ageing full-stop. Want quick proof? Compare your mums/grans/nans facial skin to the skin on the tops of their arms aka somewhere they’ve not exposed to sunlight daily and that’s been hidden under layers of woollies in winter. Yes – ageing UV light is around in winter too my friend! Pro-tip: You can never be too young or too experienced to start using sunscreen 365 days a year. It will make a fantastic anti-ageing difference. While some anti-ageing creams contain sunscreen as an ingredient, you likely won’t be told the SPF level it offers you. Which by the way, you want to be SPF 30 at a minimum – also with the promise of broad spectrum/the UVA circle/a PA+++ rating – if these mean nothing to you, read this. Sunscreen works as an anti-ageing cream because it protects your skin against UV light aka the key cause of collagen, elastin and skin barrier damage – aka the cause of wrinkles. Murad City Skin Broad Spectrum SPF 50 | PA ++++ (£40/50ml) – great for all skin types, no white cast, also great if you work in front of a computer screen all day. NIOD Survival 30, PA+++ (£25/30ml) – best for oily skin, also with blue light protection. Paula’s Choice Calm Hydrating Moisturiser SPF 30, broad spectrum (£29/60ml) – best for normal to dry skin, however there’s also a version for normal to oily skin. Ask Google for the best anti-ageing ingredients ever made or scientifically proven anti-ageing ingredients which are must haves and you’re going to find one word repeated at you like Google had turned into a parrot – retinol. Retinol aka vitamin A is THE go-to scientifically proven anti-ageing ingredient of almost all skincare experts. It’s not for everyone and we’ll get to why soon, but it does out of all the best anti-ageing ingredients have the most scientific proof. Which was stumbled over completely accidentally when vitamin A was clinically tested as an acne treatment – with the best ever side effects – fine lines and wrinkles began vanishing. Can you imagine ‘eh. While sunscreen can work for you as an anti-ageing, anti-wrinkle cream, retinol can work for you as a wrinkle repair cream. How do retinol containing anti-ageing creams work? Great question my friend, retinol works as a best anti-aging skincare ingredient because of its proven abilities to re-stimulate your skin’s collagen levels. Collagen is a skin protein everyone has, it’s like skin scaffolding and when your levels are high, your skin’s volume full and wrinkle resisting. Your collagen levels naturally begin to drop from your 20s and are used up by things like UV light. If your skin was a game of snakes and ladders, Vitamin A aka retinol is the magic hack, the one only truly experienced gamers know, to vanishing/pausing/skipping all of your collagen eating snakes. But dear friend, retinol is not a best anti-ageing skincare ingredient for everyone. Retinol can be extremely drying to skin and when your skin’s dry it easily becomes irritated and sensitive. You should be extremely careful about using retinol if you have dry, sensitive or easily irritated skin – in fact I’d strongly recommend trying the other scientifically proven anti-ageing ingredients on this list before using retinol. However what makes retinol not so great for one skin types makes retinol fantastic for oily and combination skin types. Indeed Laboratories Retinol Reface (£19.99/30ml) – featuring 3 different kinds of retinol for best results with improved skin sensitivity. Avene PhysioLift Smoothing Regenerating Night Balm (£26/30ml) – best for sensitive and easily irritated skin types or first time retinol users. The Ordinary Granactive Retinoid 2% in Squalane (£7.80/30ml) – most purse friendly/best budget retinol. While most people have heard about retinol being a scientifically proven to work anti-ageing ingredient, most people haven’t heard about niacinamide. Think of niacinamide like the member of a pop-band who gets almost no face time but is the absolute best singer they have (*cough* Zayn). Niacinamide makes a perfect anti-ageing ingredient because not only is niacinamide active, it’s also skin repairing and skin restoring – read – niacinamide will love your skin sensitivity. Anti-inflammatory – ageing is inflammatory and inflamm-ageing i.e. ageing caused by long-term low-grade inflammation is an up and coming strongly recognized cause of skin ageing. What ingredients to look for in an anti-ageing cream? Dear friend, niacinamide is a perfect choice anti-aging skincare ingredient for all skin types. Scientifically proven it not only helps your skin re-establish a very healthy skin biology it also at a 5% concentration helps treat and rewind wrinkles. Powerful yet sensitive – the best of both. Paula’s Choice 10% niacinamide booster (£40/20ml) – a few drops is all you need and unlike The Ordinary’s 10% niacinamide, this doesn’t come with zinc aka you can use this even if you don’t have an oily skin type. Best drugstore pick; Olay Anti-Wrinkle Instant Hydration Moisturiser Day Serum (£5 to 10/50ml) – in fact choose almost any Olay anti-wrinkle serum or moisturiser and you’re getting yourself a big spoonful of niacinamide. bareMinerals SKINLONGEVITY Vital Power Infusion (£34/50ml) – a do it all, all-round serum also with proven anti-ageing naturals – bonus! Imagine trying to sleep without laying down, trying to watch Love Island with the TV turned off, trying to flirt with the guy you like without WhatsApp/MSN/email/other not-in-person, gives-me-braveness messaging services. All of these scenarios are like trying to have healthy skin without vitamin C.
Your skin needs vitamin C like a chocolate cake needs the oven, like a going out-out dress needs a cocktail bar, like a fluffy blanket needs to be cocooned in. In fact, without vitamin C, your skin would literally fall apart! It’s how scientists know vitamin C’s vital for healthy skin. Vitamin C helps your skin make collagen and without healthy collagen levels, your skin gets all wrinkly and in severely deficient cases aka scurvy – falls apart. There’s that word again – collagen – the anti-wrinkle, smooth skin making skin protein. The go-to and scientifically proven anti-ageing ingredient L-ascorbic acid is the most well-tested form of vitamin C, however it can go-off quickly and may also cause slight stinging for sensitive skin types. Because of this, there are lots of other ‘protected’ forms of anti-ageing vitamin C.
Pssst! Protected aka indirect vitamin C is when scientists have added another Lego block onto the vitamin C molecule. This extra Lego block stops vitamin C going off and stops vitamin C being stingy. Once inside your skin the extra Lego block is dissolved away and pow – vitamin C gets to work. The Ordinary have a great range of Vitamin C anti-ageing creams to choose from at a very purse friendly price – see this guide for which kind of vitamin C would make a perfect fit for your skin type and skin’s needs. Your skin’s acidic and when it’s the same, neutral pH as tap water it’s very unhealthy. Not all acids are stingy, or even that acidic – take hyaluronic acid for example, definitely not stingy and also definitely not very acidic. Skin’sperts used to think an ideal acidic skin pH of 5.5 was perfect, nowadays most experts accept the healthiest skin pH is below 5 and potentially of between 4 to 4.5. …meaning anti-ageing skincare acids are nothing to be afraid of. You might also know these guys as exfoliating acids because the very first skin change they make is to speed up your skin’s natural exfoliation rate. And guess what – your skin’s exfoliation rate slows with age. As your skin gets more experienced, it exfoliates less and your skin texture gets rough, patchy, uneven and wrinkle prone. Glycolic acid is best if your skin’s dry and salicylic if your skin’s oily. 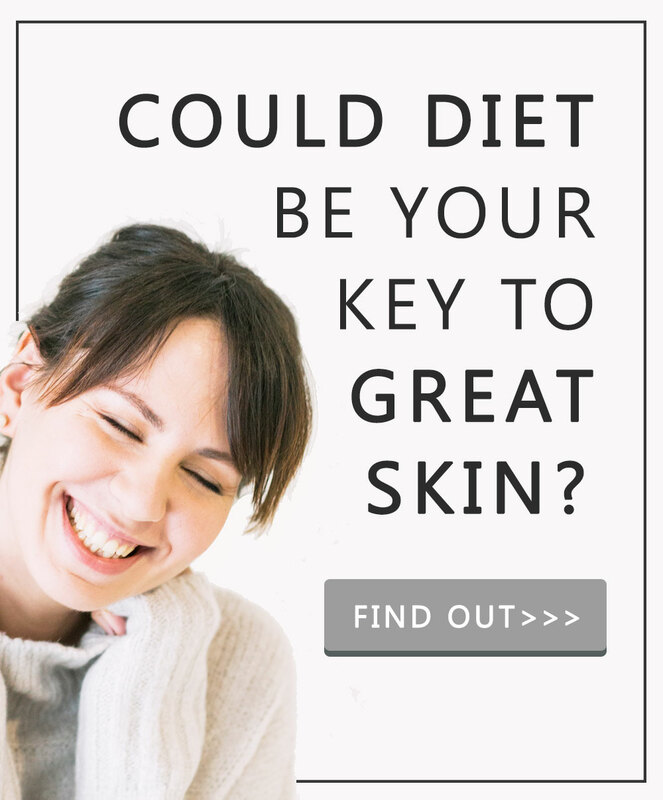 But dear friend i hear you – what about if my skin’s combination or in-between? Well in this case a combination product using both glycolic acid and salicylic acid is best. Glossier Solution (£19/150ml) – A mix of lots of different skin acids including glycolic and salicylic acid for multiple benefits, while you’ll see lots of reviews about spot fighting, this pick also makes a fantastic anti-ageing solution. Now dear friend, where do you start? 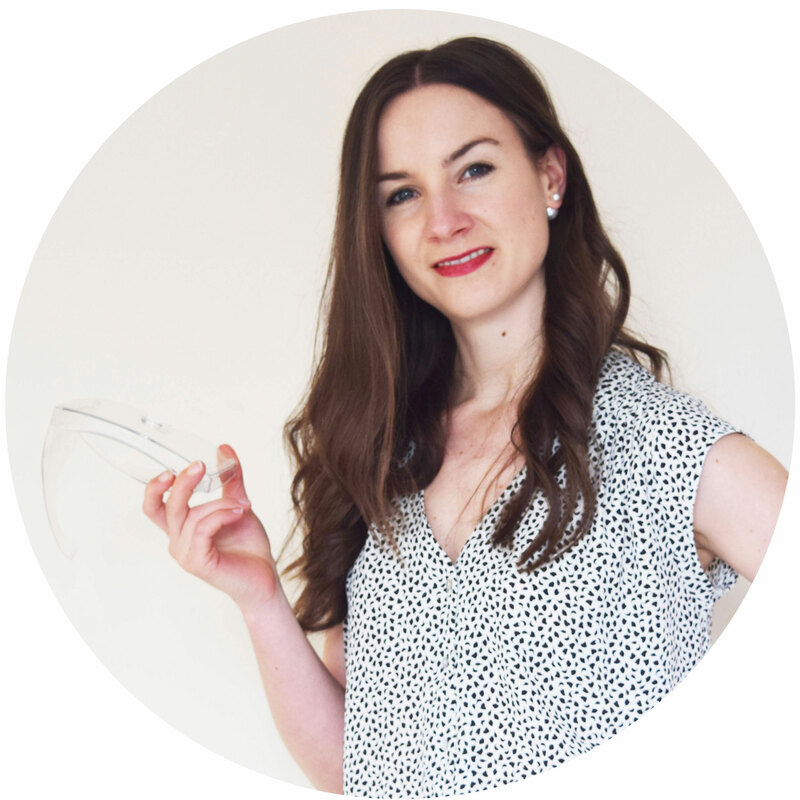 My recommendation – grab yourself a very effective, daily use sunscreen – extra bonus points if you go for one with blue light protection, then choose one of the 4 remaining scientifically proven anti-ageing ingredients to build into your skincare routine now. Next step, enjoy and bear in mind, skincare products which help rewind wrinkles take time to work.